Stuff Archives - That's... "Such a Crock"
This week’s Such a Crock podcast revolves around the crockery of STUFF. In many cases stuff is more trouble than its worth. Katherine opens with a prime example of precisely this sort of stuff quandary. She harkens back to the days of yore when the dapper Prez, Abraham Lincoln, sported an iconic beaver skin stovepipe hat. 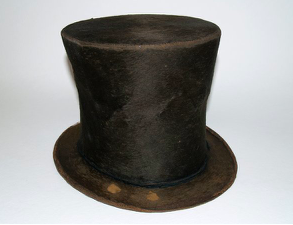 Today this hat serves as the foundation of the Abraham Lincoln Presidential Library and Museum where people gaze upon it with ardor and amazement. Trouble is… it may not be Lincoln’s hat after all. Currently, an FBI investigation in progress holds the fate of this museum in its grasp. In fact, they may go bankrupt and close. Concerned? You can donate to their gofundme if you’re feeling generous. Stuff #1 The hat in question, made of beaver skin and arousing doubt on its provenance. Hoarder or Collector of Stuff? Next the duo discuss some funny personal touchstones about their opposite perspectives on stuff. In order to call it a crock, Michael had to dig DEEP into the recesses of our culture’s worst case scenarios. In other words, hoarders. He horrifies Katherine with tales of hoarding insanity including a woman who not only filled her house with fifty live cats but also 75-100 dead ones, many which she liquified. He also provides an instance of a woman collecting garbage out of dumpsters and then destroying the family fridge with her “collection”. Katherine and Michael talk a bit about his collections of magic cards and comic books which makes for a fantastic segue-way into the next topic. 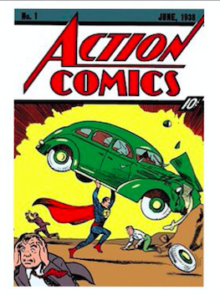 Comic aficionado, Michael tells the story of Nicholas Cage’s copy of Action Comics #1. It’s a fascinating tale of a rare comic that portrays the introduction of the world’s first superhero for the very first time – Superman. Cage had the comic framed and up on his wall when it was stolen along with some other framed rare comics. 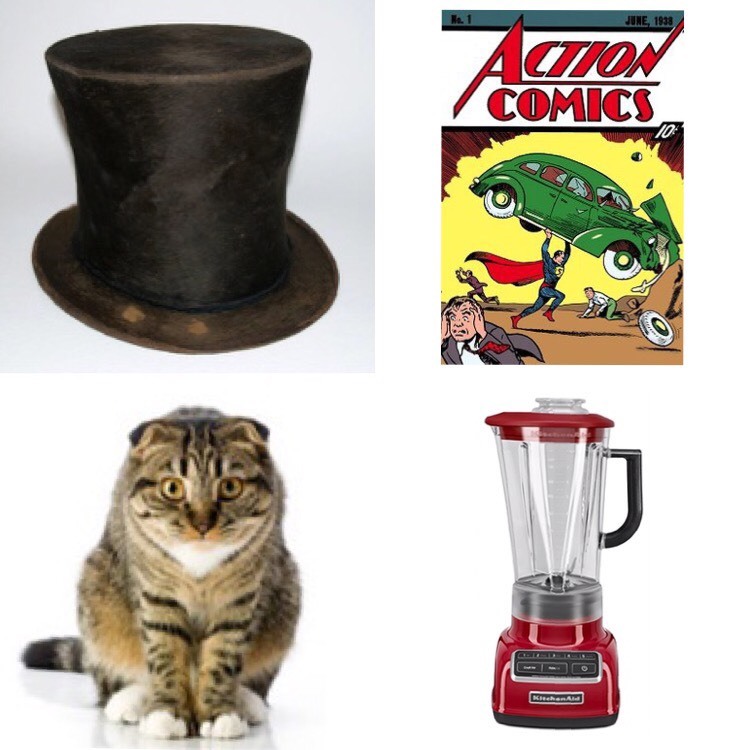 Years later the comic appeared in a storage locker and was then sold at auction in 2011 for more than $2million. Michael sees this as evidence that comics can be worthwhile investments. He sees it a validation of “collectors”. Katherine sees it as yet another example of how ownership is a transitory relationship; things don’t last no matter how tightly we cling to them. They get stolen, they deteriorate, and we get bored of them, etc. Minimalism – You Don’t Need Stuff! Katherine then lists her incredibly non-judgmental reasons why living a minimalist lifestyle can help make your life better. She’s a big believer in this way of life and highly recommends it. 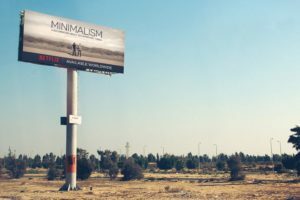 In fact, if you’d like to check it out for yourself, try the movie Minimalism: A Documentary on Netflix or Amazon.com. These guys are drinking the same Kool Aid Katherine purveys and are just as happy and preachy about it as she is. Stuff #3 See the movie! It’s fab and free!